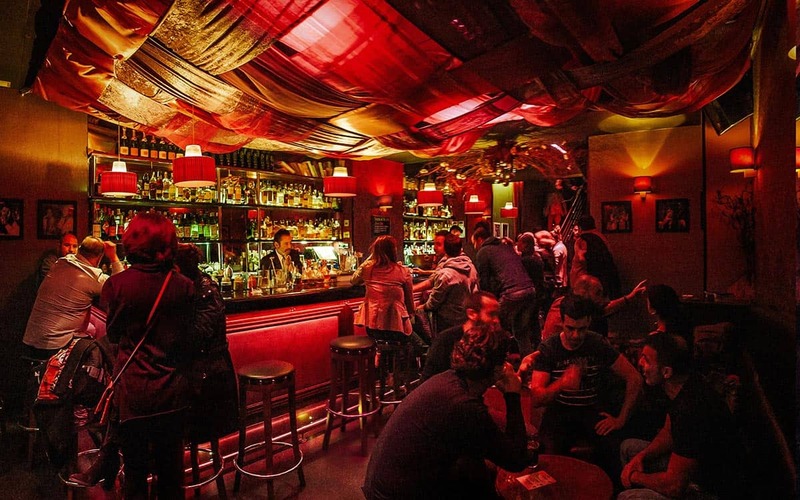 Forget Gracia, the cool kids have established Poble Sec as their preferred barrio – and leading the district’s cultural and social scene since 1998 has been this superb space: Maumau Underground. Located in a hard-to-find basement five minutes from Paral-lel, descend into Maumau’s any night from Thursday to Saturday and you’ll find a hip crowd of well-dressed artists, students and young professionals sipping on gin’n’tonics (they stock 35 gins), or vintage cocktails, such as Moscow Mules or Sailor Jerrys, as they make the most of the weekend. 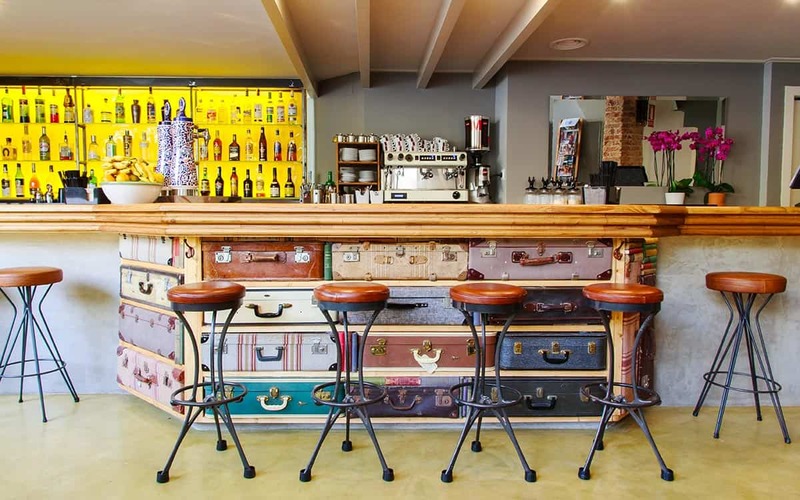 As you would expect, the bar looks the part, with low white sofas surrounded by pop art, bamboo sticks, a canvassed ceiling and a scattering of what look suspiciously like school benches, whilst deep funk and rare grooves drift out of the soundsystem. 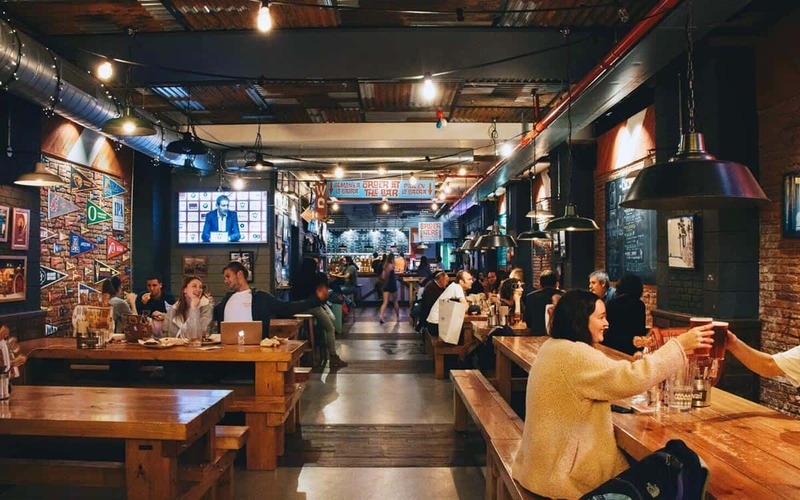 What separates Maumau Underground from your average trendy sipping point is its deep involvement in the city’s cultural scene. 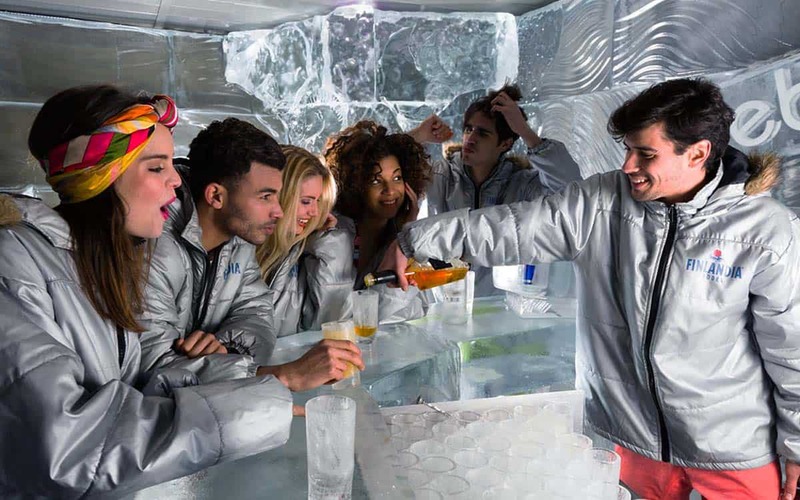 Check out their website and the Maumau Barcelona Facebook profile for the latest alternative events all over the city, or purchase their membership card for big discounts on all of the best contemporary culture spots in town – plus discounted drinks at the bar. Film buffs should keep a special eye out for regular Thursday night short film screenings. 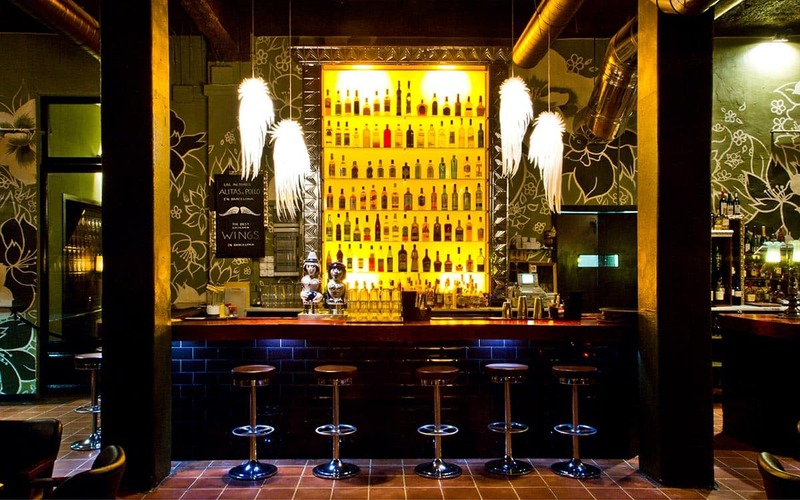 A grand space on the edge of Poble Sec, this place has a completely different feel to all other bars in Barcelona. Really good drinks and good looking people!